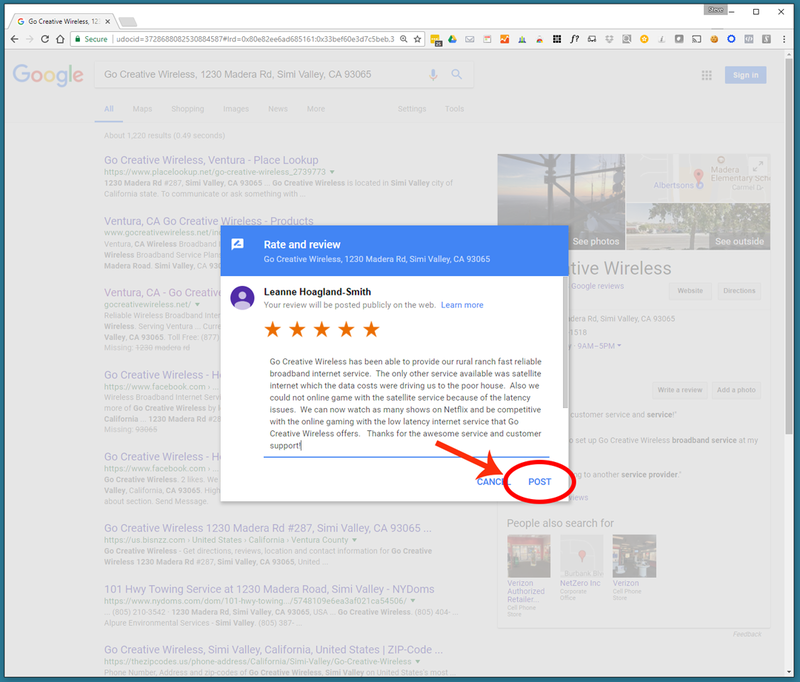 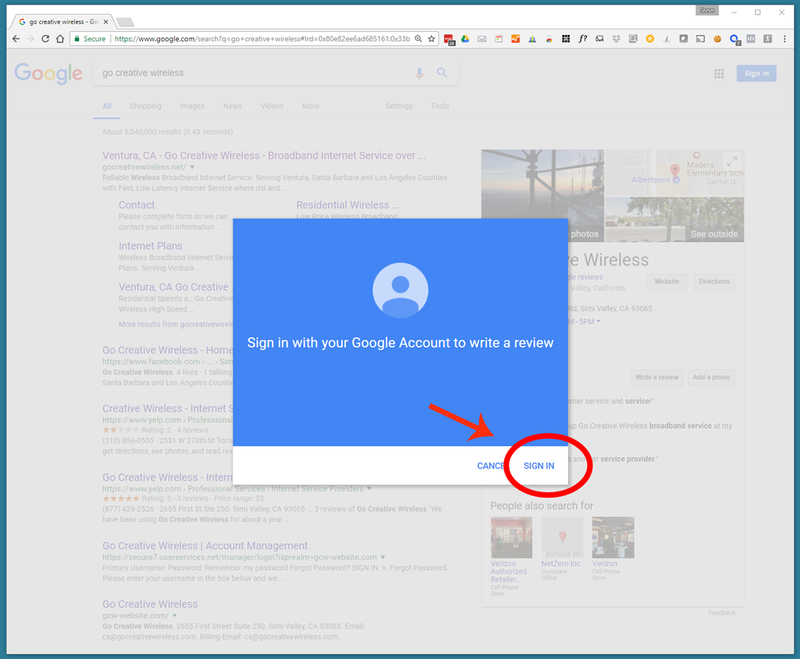 Instructions Below if you don’t have a google account or need instructions to rate and review us. 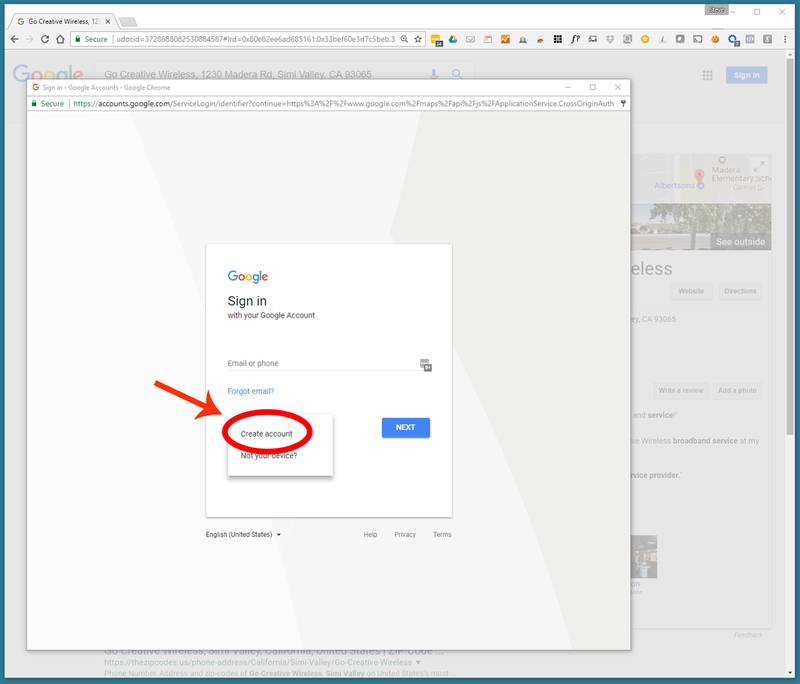 Click on the “Sign In” (Shown below circled in red) If you are not logged into Google. 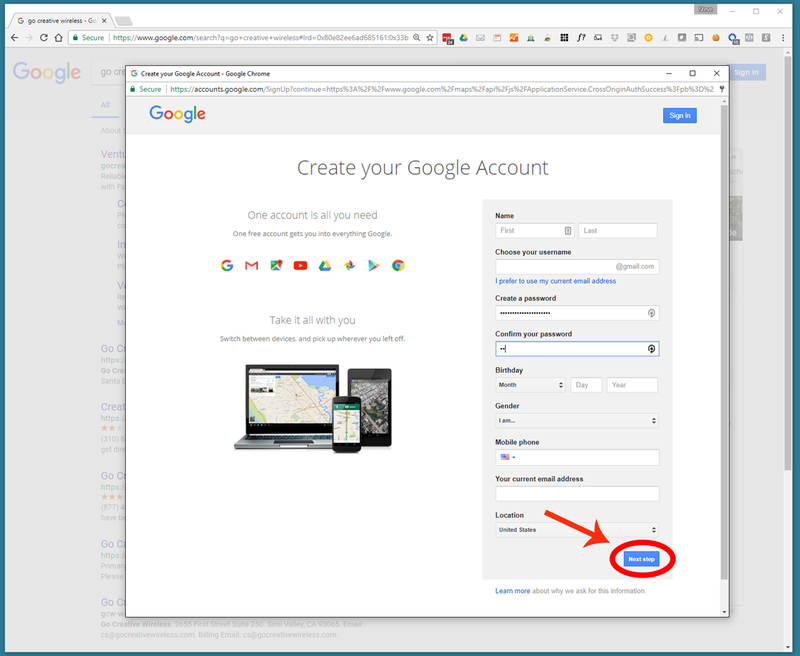 If you don’t have a Google Account, Click on “More Options” (Shown below circled in red) to create a Google Account. 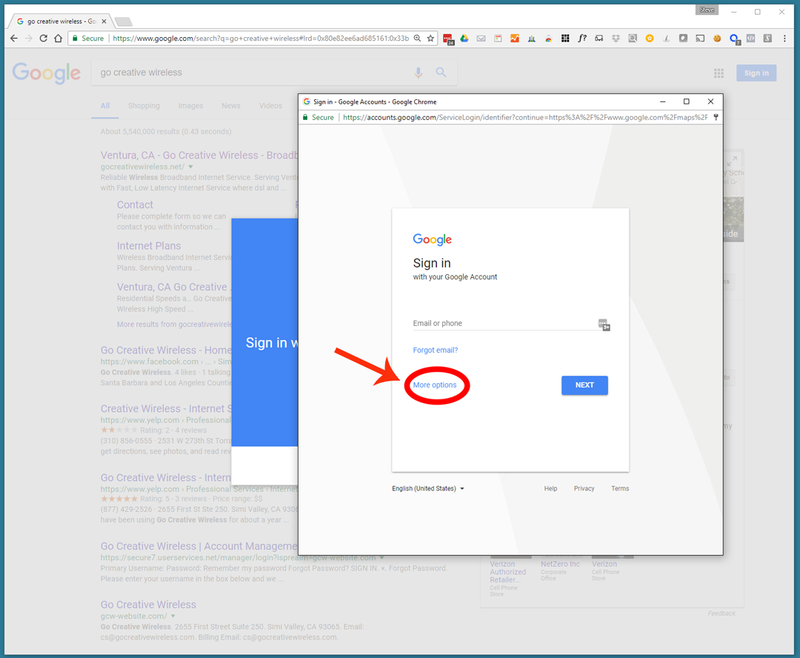 Click on “Create account” (Shown below circled in red) to create a Google Account. 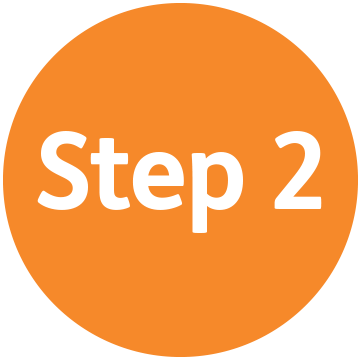 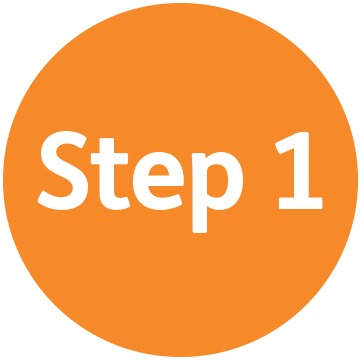 Once you have filled out the account form Click on “Next step” (Shown below circled in red). 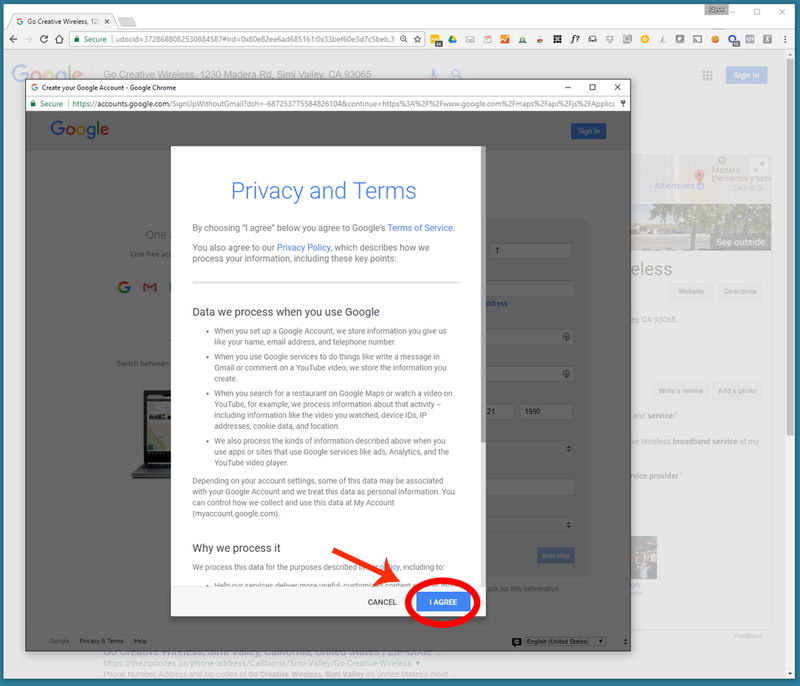 Read the Privacy and Terms and then Click on “I AGREE” (Shown below circled in red). 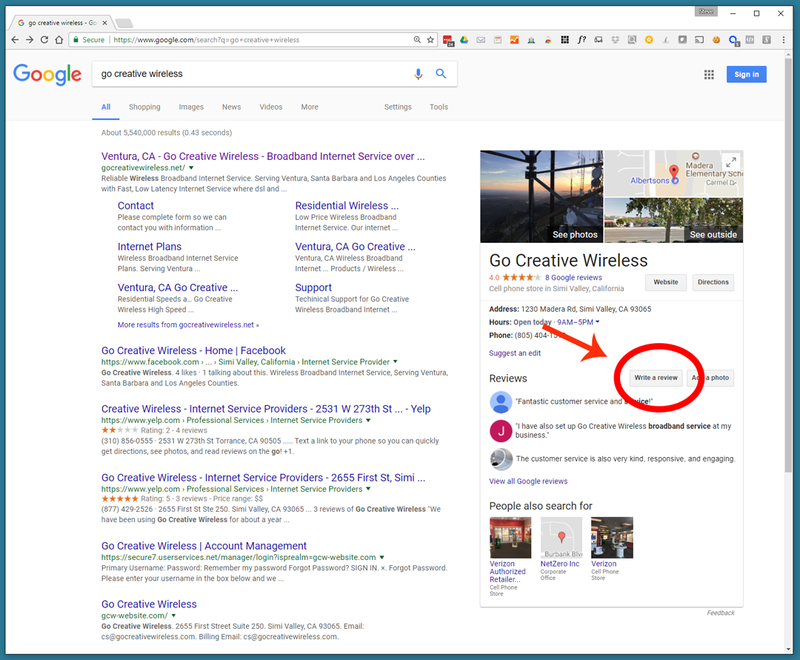 Rate and Review Go Creative Wireless. 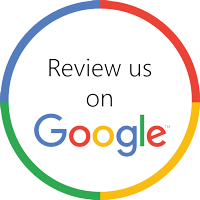 Once you have Reviewed us, click on “Post” to post your new review.